Sam’s Club Merchant Services isn’t the best choice for businesses that want competitive credit card processing services. Visa charges a fee for settlement requests. It’s called a settlement network access fee or a Base II fee. 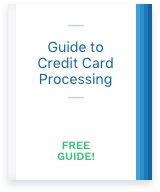 101 credit card processing tips may seem like a lot, but the more you know the better equipped you will be to avoid pitfalls. The benefits of CardFellow also become more apparent as you learn how credit card processing *really* works. The Tip of Tips: If you *think* you are paying too much for credit card processing — you are! Read on for additional credit card processing tips to help your business. In April 2008, Visa implemented an international service assessment fee of 0.80% (eighty basis points). It applies along with other Visa fees. Knowing how to spot bait-and-switch pricing will save time and money. Some credit card processors play the old bait-and-switch game of advertising rates that seem too good to be true. Pivotal Payments offers credit card processing services, but is it a good choice for your business? Let’s take a look at CardFellow’s experience.